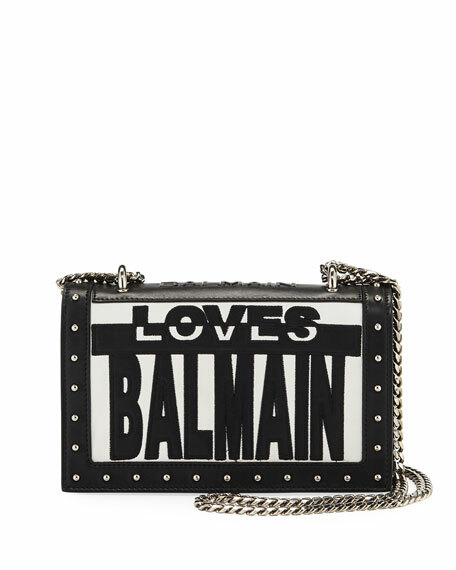 Balmain leather and fabric shoulder bag with "Loves Balmain" text. Approx. 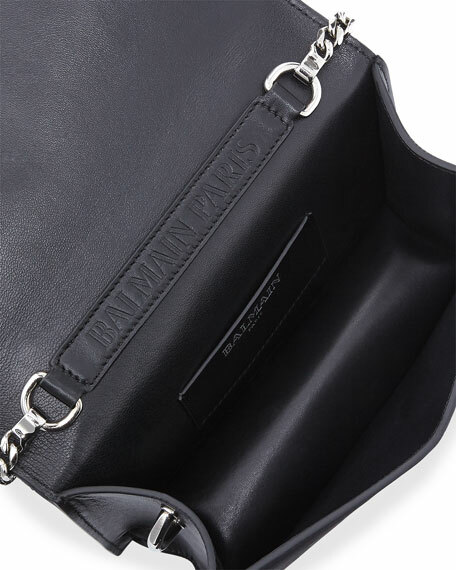 3.4"H x 8.7"W x 5.0"D.
Exterior, stud trim; logo at top. For in-store inquiries, use sku #2356887.